The coffee table is an item within the house that pulls your living room together, creating a look that is stylish as well as lavish. It adds to the luxury of your home and with it being located at the center of the room, it tends to attract the guests and therefore has to be amazing enough to impress them. When we talk about the high quality of coffee tables , we are actually talking about two wooden types that are available in the table market. These woods include Oak coffee tables and Mahogany coffee tables. Both of these tables can match the standard of sophistication and reliability which we want. While comparing the qualities and features of them, we come across to some surprising factors that seems to stump us when choosing between the two of them. 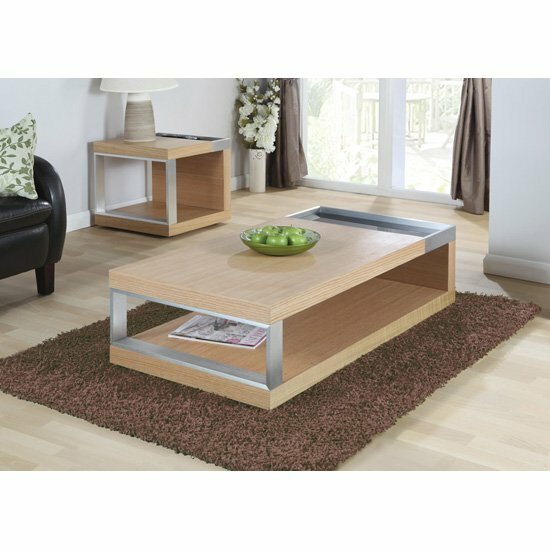 Oak coffee tables are one of the strongest coffee tables available. Oak trees are a symbol of strength, which correlates to the fact that the furniture made from this wood is also known for the reliability and strength it has. It tends to last for many years and repairing it is unnecessary so long as it is properly taken care of. You can rely on this wood for its strength and the sheen that it has after it has been varnished. Hotels, restaurants, bars, and other recreational institutions purchase this type of table because of its reputation for durability and therefore there is no need to replace them regularly. Mahogany coffee tables, on the other hand, are also reliable but not as much as oak coffee tables are but they do have their perks. They are much smoother than the oak tables, are richer in color and the varnish is glorious. Mahogany coffee tables or the stools are not only shiny but also comforts the sitter with its smooth finish. They tend toward the darker spectrum of hues and look very elegant in lighter colored rooms. There are no major differences in both of these wood types, but depending upon your demands you may opt for either oak or mahogany coffee tables.